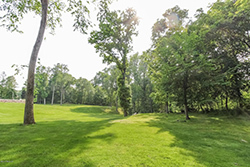 Our Land Listings - Land for Sale Greenwich CT | New England Land Co.
Below discover all New England Land Company listings within the Greenwich, CT area. Local towns including, Cos Cob, Riverside, Glenville, etc. Call us now or contact us online if you have questions or would like to schedule a private showing. TIP - Register on the site to save your favorite listings and to receive email notification when similar listings come to the market. You may be interested in homes for sale in, Greenwich, Riverside or Cos Cob specific area searches too!